Quickie Summary: State “Trunk” Highway 30 is a shell of its former self. Today it’s a short freeway spur from I-39/90/94 to U.S. Highway 151 (East Washington Avenue), with the Aberg Avenue extension connecting to Highway 113 and the MSN/Dane County Regional Airport. But prior to I-94’s opening in the 1960s, Highway 30 was THE main road between Madison and Milwaukee. We’ll look at the former highway and follow as much of it as possible so we can experience what getting between the two cities was like back in the day. 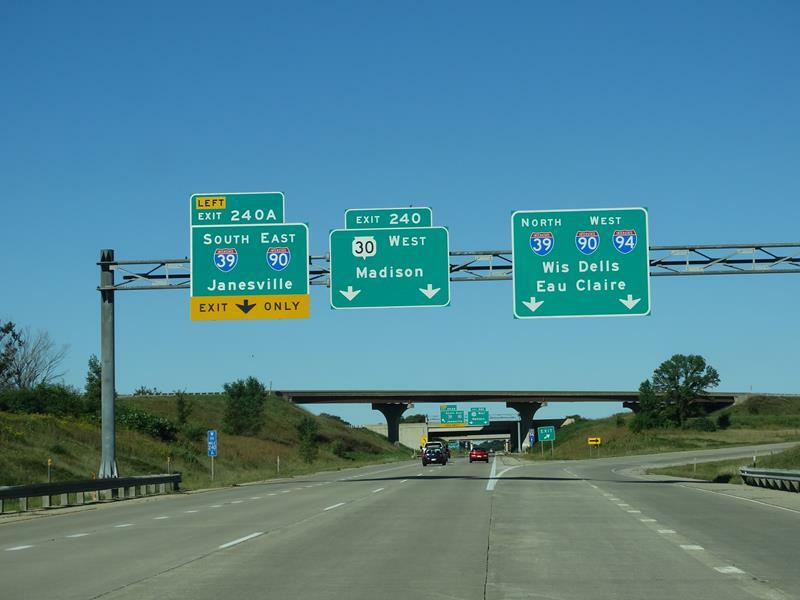 The Current Drive (East to West): Highway 30 once ran all the way across from Milwaukee to Madison from 1924 until 1965, when I-94 was completed from Milwaukee to I-90 just outside of Madison. The three-mile stretch of original Highway 30 from I-39/90/94 to Aberg Avenue is what remains… so this will be quick! We pick up Highway 30 in what’s called the “Badger Interchange.” where I-39/90 and I-94 meet. It’s the southern start of I-39/90/94’s “triple concurrency” run up to Portage – the longest such concurrency in the nation. Highway 30 heads west from the Badger Interchange and offers a view of the Madison isthmus, including the Capitol, much of downtown and part of the UW campus, as you descend from the high point of the Badger Interchange down into the city of Madison. This portion is freeway, basically a continuation of I-94 getting into the capital city. Highway 30 crosses U.S. 51/Stoughton Road, the major north-south highway on Madison’s east side if you don’t count the interstates. 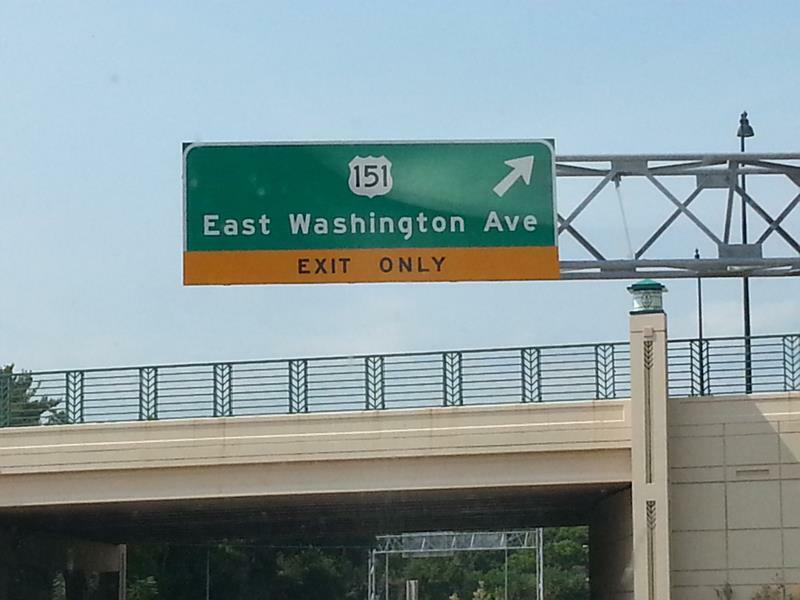 After that, you reach a small interchange with Fair Oaks Road, where an on-ramp to westbound Highway 30 basically points at the “END” sign for today’s highway just before the interchange with U.S. 151/East Washington Avenue. 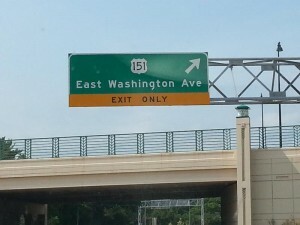 “East Wash,” as it’s called, is basically the primary route to the State Capitol from Highway 30. The “END” sign for Highway 30 is right as traffic joins the road from Fair Oaks Avenue – or leaves it for U.S. 151/East Washington Avenue. You can hit the Capitol via East Wash, or continue past Highway 30 on Aberg Avenue for Highway 113, the airport, Ale Asylum Brewery, the Kraft/Oscar Meyer plant, or another way into the UW campus. Highway 30 technically ends at that point but the four-lane road continues west for another mile or so as Aberg Avenue, before ending at Highway 113/Packers Avenue. The “Packers” in the name refers to the mammoth Oscar Mayer plant that has been operating in Madison for decades; sadly, it is scheduled to close this year. Just north on Highway 113, literally blocks away, you’ll find the Ale Asylum Brewery. Ale Asylum moved into this location at the junction of Highway 113 and the road to MSN – Madison’s Dane County Regional Airport – after about seven years on Stoughton Road. This location is a full restaurant, bar, brewery, and event space and is a fun place to enjoy craft brews, watch games, or see people having a few before dealing with TSA at the airport. From this end, downtown Madison, the Capitol, and the UW campus are all an easy ride down U.S. 151 or Highway 113. What’s more intriguing about Highway 30? The HISTORICAL route! 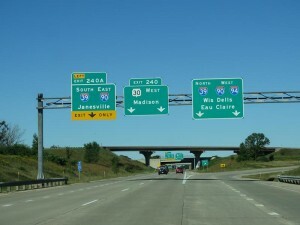 The HISTORIC Drive (West to East): Highway 30 was originally designated between Madison and Milwaukee in 1924. From the Capitol, Highway 30 ran northeasterly out of downtown along East Washington Avenue and then dived to to Atwood Avenue, hugging Lake Monona and then beelining east about County BB/Cottage Grove Road through Cottage Grove and then via today’s County B through Lake Mills, Johnson Creek and Concord. From there, it followed much of today’s I-94 path except for the section between Willow Glen and Saywer Roads where it followed today’s County DR, and into Delafield where it followed today’s Delafield Road. East of today’s Goerkes Corners, Highway 30 followed Bluemound Road and Wisconsin Avenue into downtown Milwaukee. In the early 1940s, Highway 30 was moved to a more direct route from Lake Mills to Concord, on the route of I-94 today. Gradually west of Lake Mills and east of Concord, Higwhway 30 was moved to today’s I-94 path in sections. In the late 1940s, the section of Highway 30 west of Cottage Grove was moved to today’s County T and Commercial Avenue. Okay, we’ll follow selected parts here, allowing us to go right through the heart of many of these towns that I-94 skims. And we’ll be posting that shortly! • Highway 30 was the longtime historic direct route connecting Madison and Milwaukee, as far back as 1924. 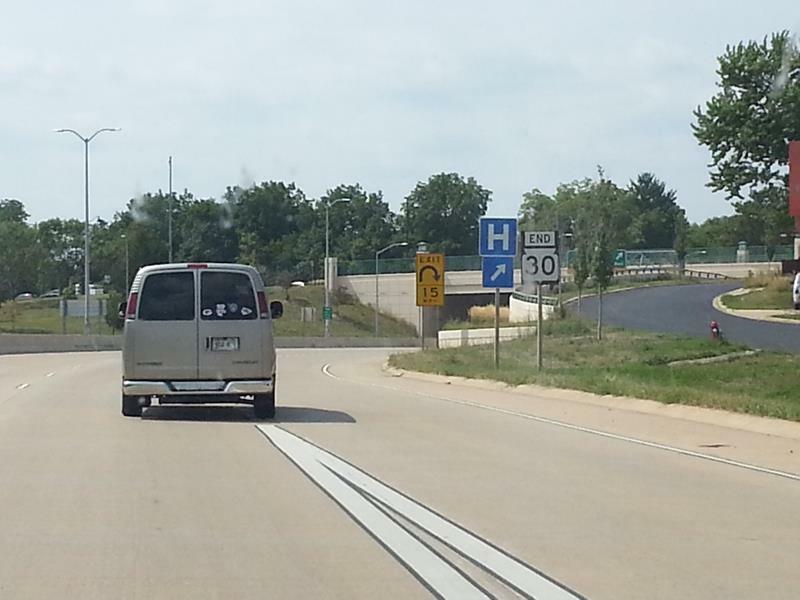 • I-94 replaced Highway 30 in sections starting in 1956 around Waukesha, completing in 1965 in Jefferson County. • The entirety of Highway 30 is a remnant of the former route west of I-90 to U.S. 151/East Washington Ave. in Madison. • Highway 30 originally started in downtown Madison and followed Williamson & Atwood Streets to today's County AB to head out of town. • The junctions of County B & Y in Johnson Creek and County B & 89 in Lake Mills were the original Highway 30 route, which lasted from 1924 until the late 1940s. • Prior to the 1950s, Highway 30 joined U.S. 18 at today's Goerkes Corners near Waukesha and continued east along Bluemound Road and Wisconsin Avenue into Milwaukee. • Highway 30 is one of the few state highways which is 4-lane divided for its entire length.